Remember this work in the C&G? It's "Tree Line" and when finished will measure in the 18" by 24" range. Right now the trees need to be fused down, and then the stitching and quilting begins! For the curious: the photos to the left of the piece are up there for inspiration for up-coming pieces. Both were taken near my home. The hot pink "M" I found a few years ago at a thrift shop and claimed it in a "Mary Tyler Moore" moment! 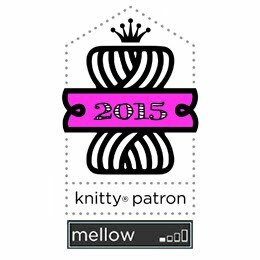 I'm linking up to WIP Wednesday at The Needle and Thread Network, so when you have a moment, grab a cuppa and take a look! I always like to see how things develop and your treeline holds lots of interest! 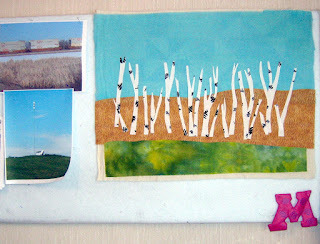 You certainly captured the essence of those birches, they will be great with added quilting.